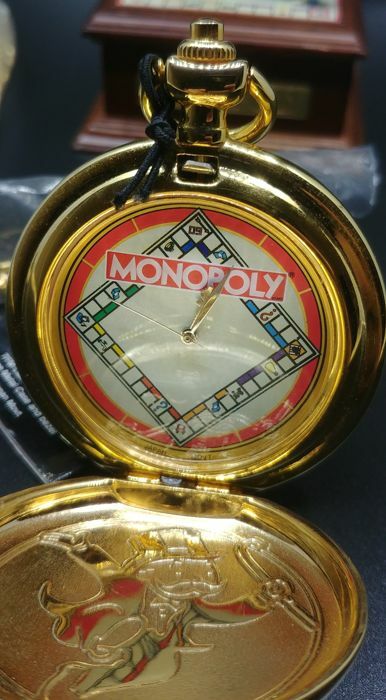 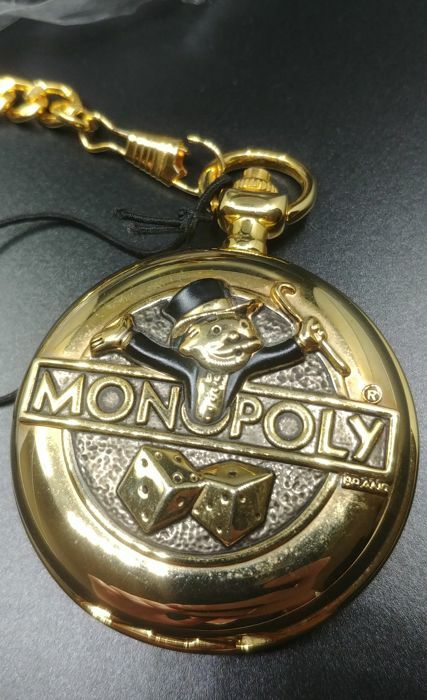 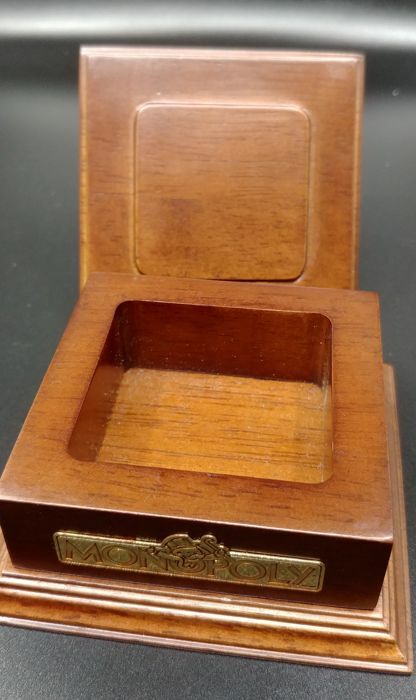 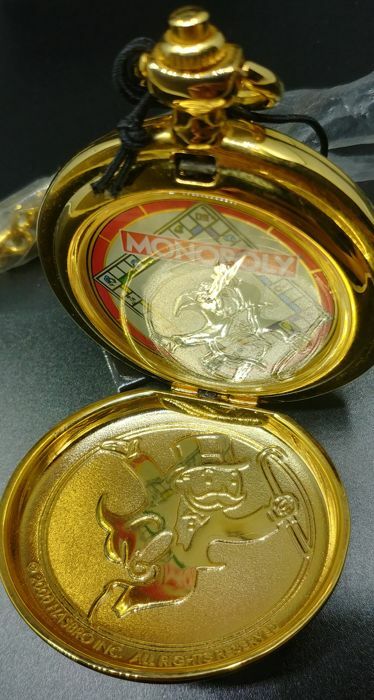 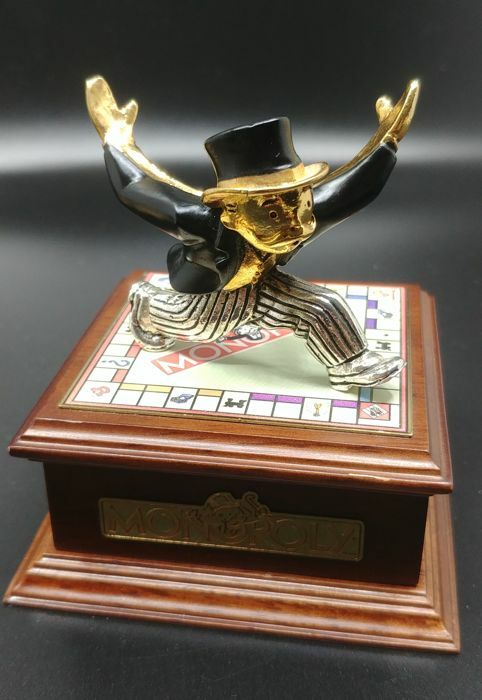 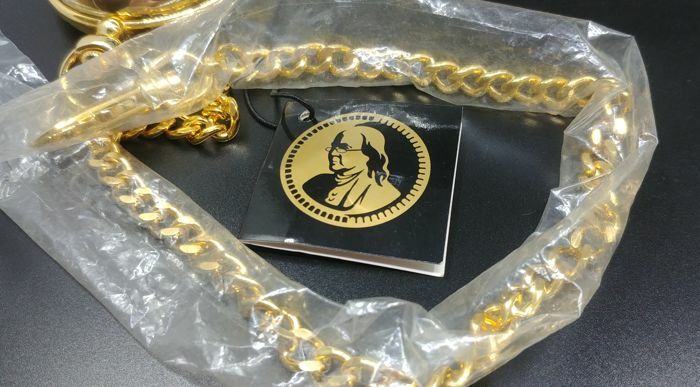 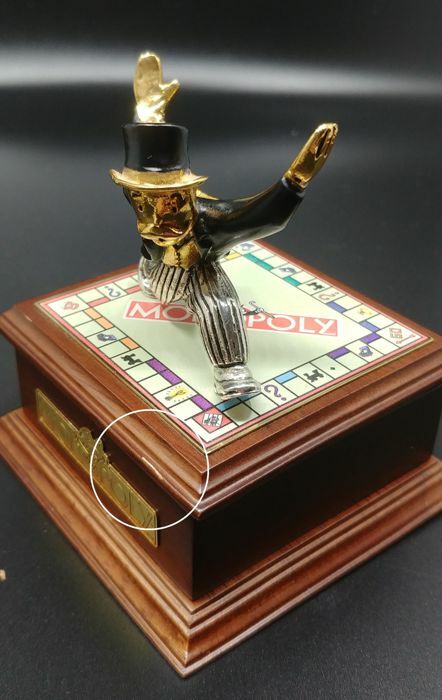 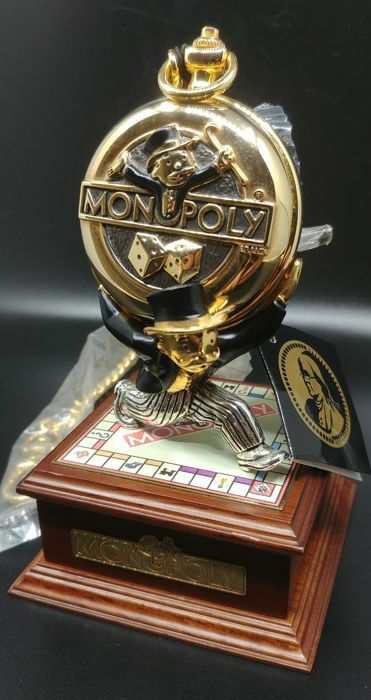 Franklin Mint Monopoly Pocket Watch. 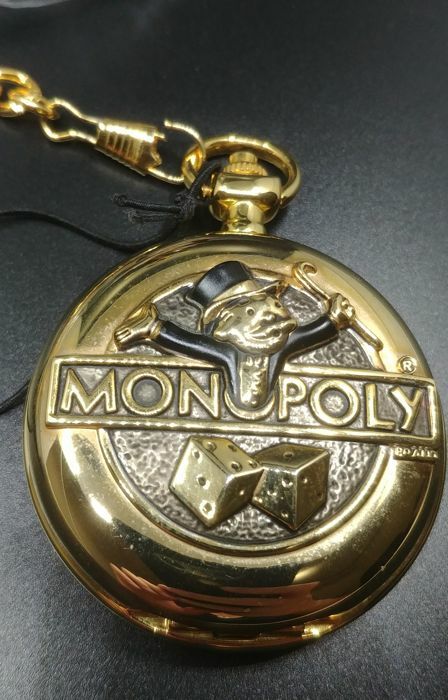 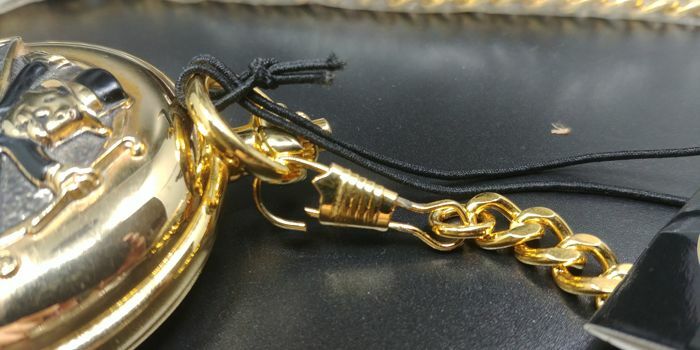 This limited edition pocket watch was made under the licence of Hasbro & Franklin Mint. 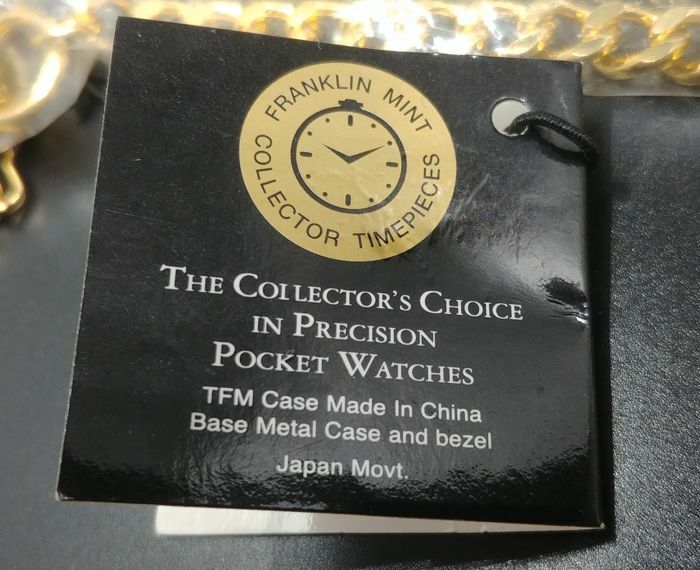 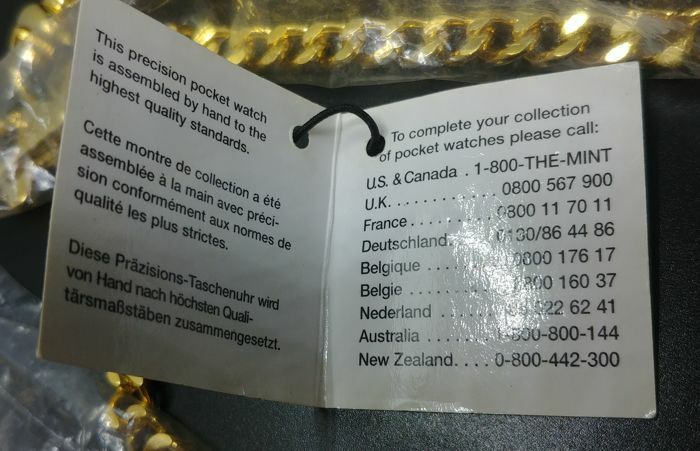 Unique to this lot is not only the watch present but also the two piece standard that depicts Mr. 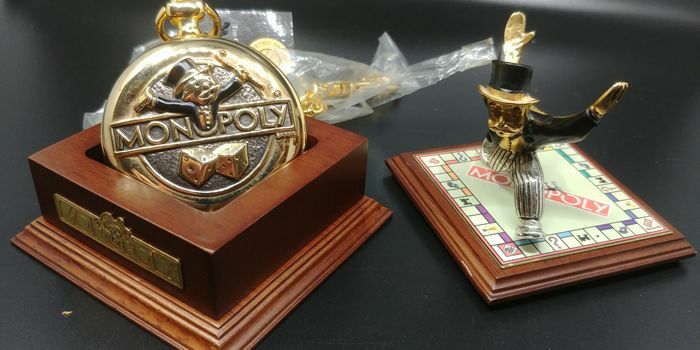 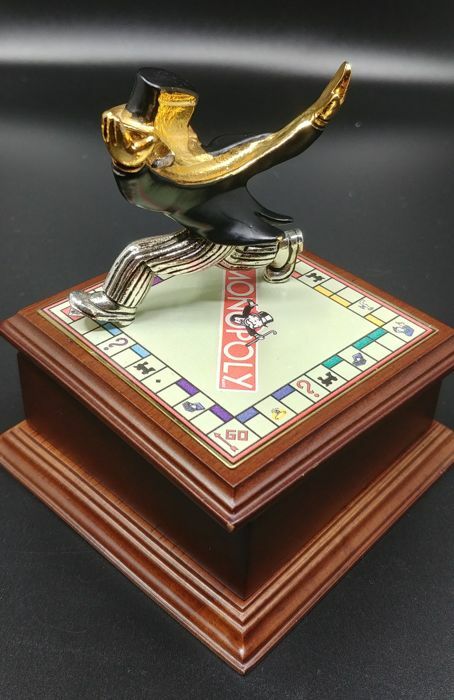 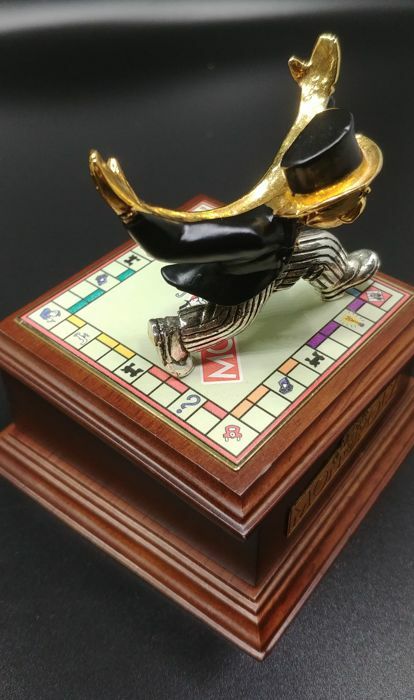 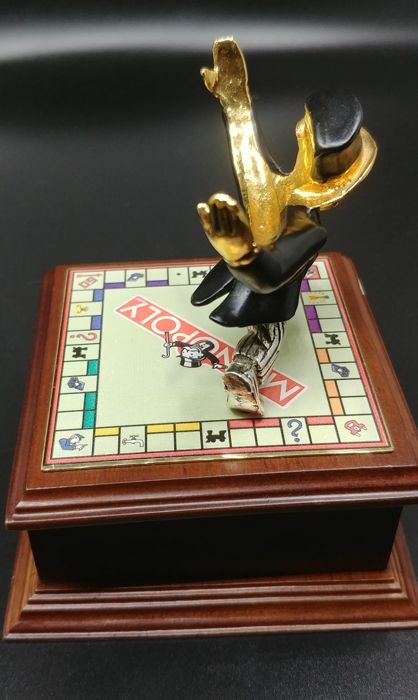 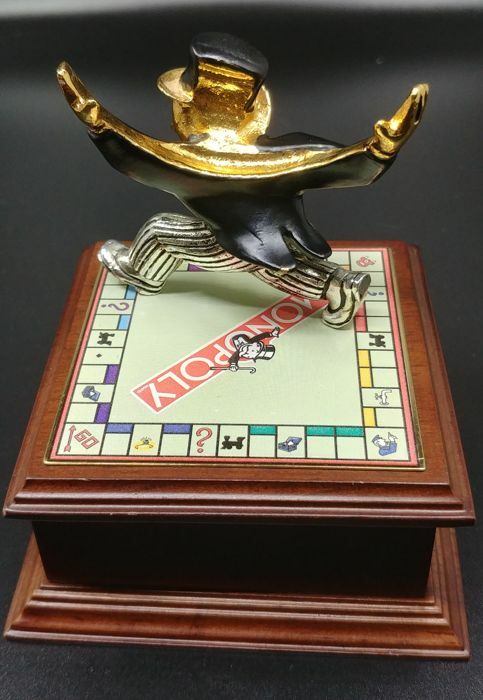 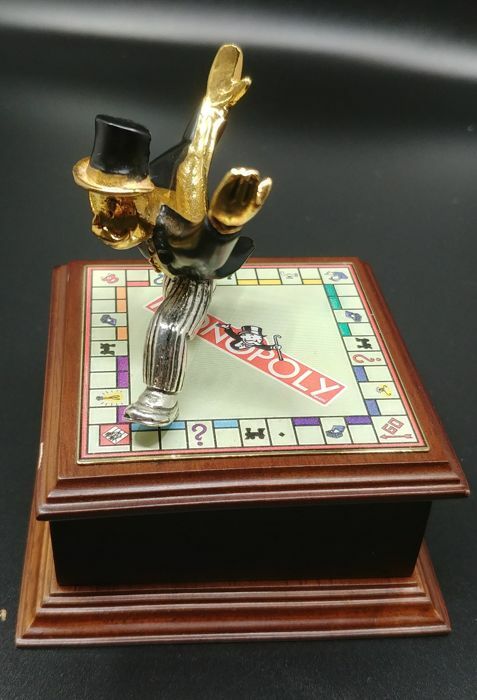 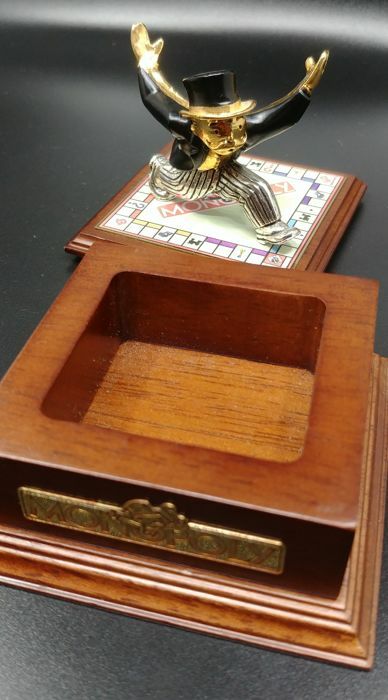 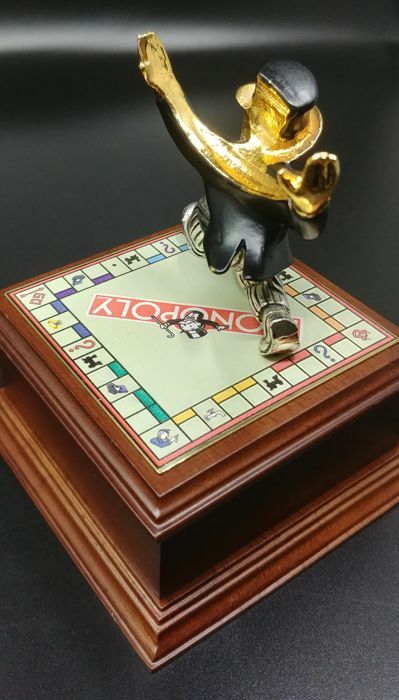 Monopoly and the game board. 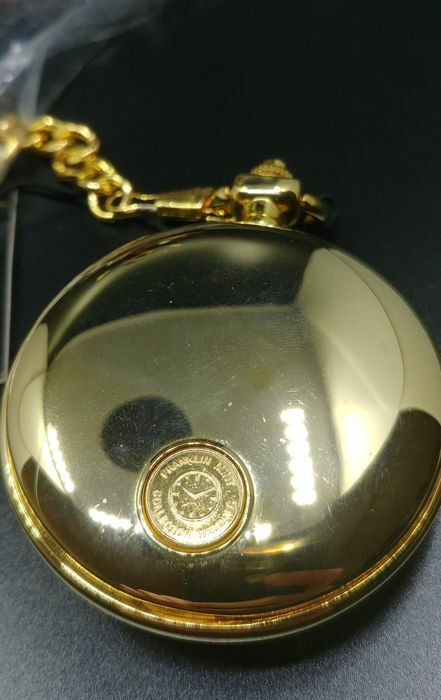 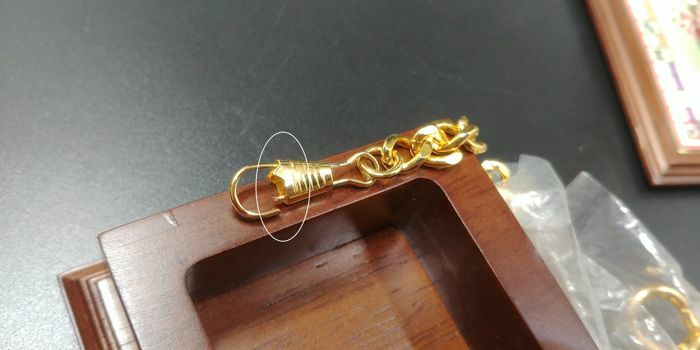 13 cm including standard, the watch diameter is 6 cm. 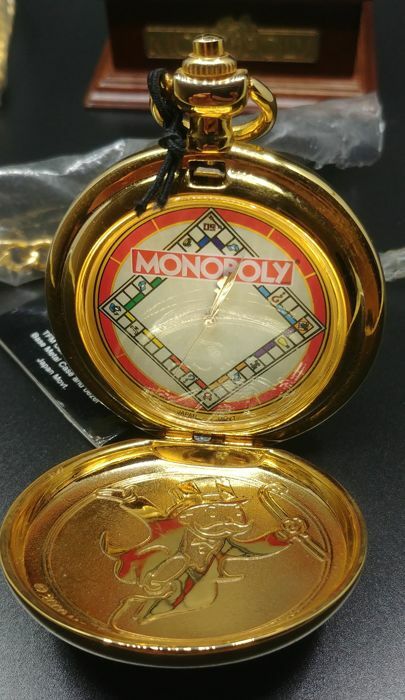 We do not know the clock run or not, as we have not removed the back cover.